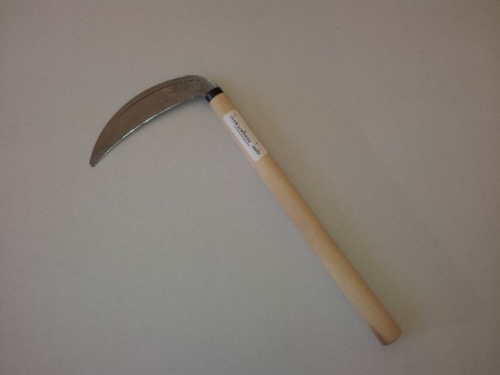 6 Inch Large Serration Stainless Steel Sickle (rice knife) BULK x12 – Sold in lots of 12 only. Bulk orders are made to order and include free shipping worldwide. 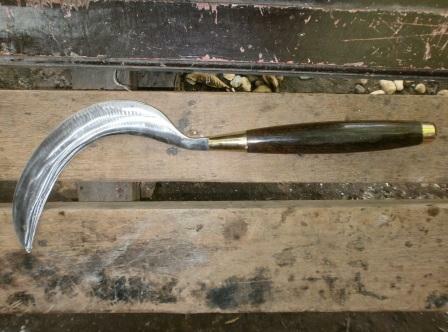 Expect around 4 to 6 weeks for delivery but is could take longer depending on delivery location. 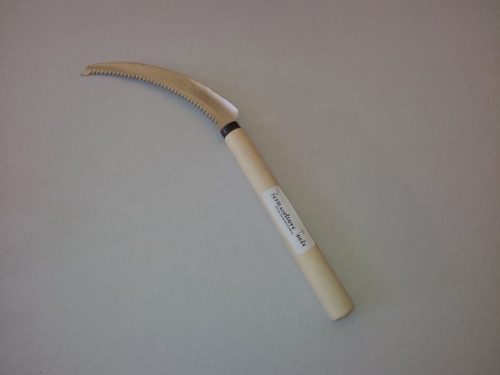 The 6 Inch Large Serration Stainless Steel Sickle with it’s large serration are best to be used on plants and grasses which are prone to block up serrations on a regular serrated sickle. 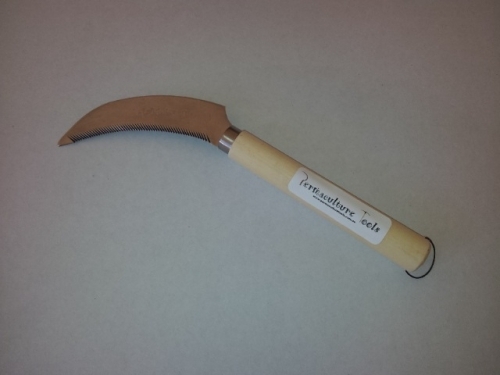 The 6 Inch Large Serration Stainless Steel Sickle is used for grasses and small herbaceous plants in a more controlled environment, such as around the base of trees, using a pulling and wrist turning action, not to be used in a swinging action (see Videos). The 6 Inch Large Serration Stainless Steel Sickle after every use, the 6 Inch Large Serration Stainless Steel Sickle blade should be wiped clean and sprayed with a permanent lubricant i.e. INOX not WD40 or RP7 (non-permanent lubricants). 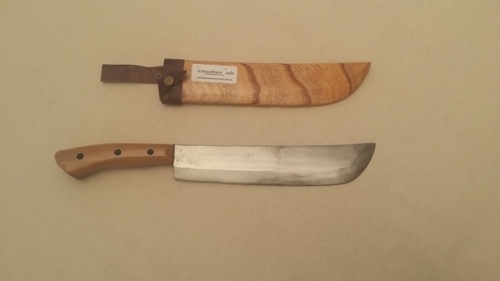 The 6 Inch Large Serration Stainless Steel Sickle blade should be sharpened with a sharpening stone and water, on the back side of the blade, opposite the serrations, do not use a file or grinder, the 6 Inch Large Serration Stainless Steel Sickle blade must be oiled after sharpening.